A British girl arrives in Madrid and makes mostly American friends. They start to talk about a magical meal called brunch. She had heard about it, but never had experienced it. Before you know it the Americans had hunted down a brunch place called Carmencita and took the British girl along for the ride. In case you didn’t realise the British girl is me and I now have a serious brunch addiction. I mean this is my second brunch post! Carmencita is my frist brunch love. It is owned by an American so expect excellent service. 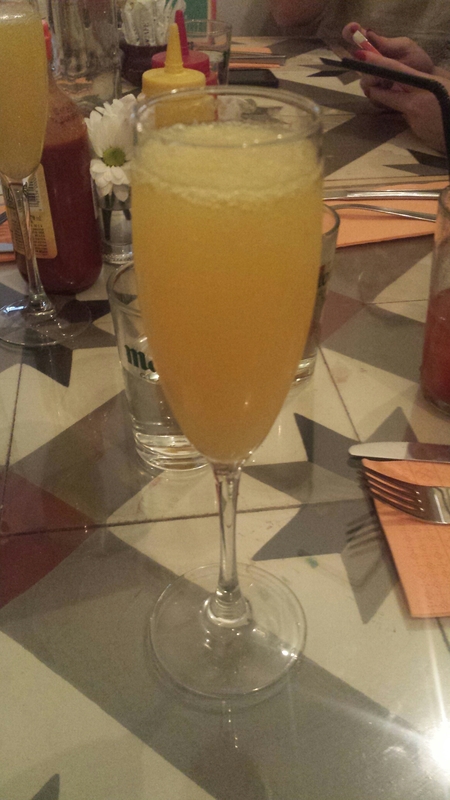 They have €1 mimosas (bucks fizz) and an extensive menu. I normally go for the eggs Benedict or one of their seriously good burgers. Brunch is well priced. 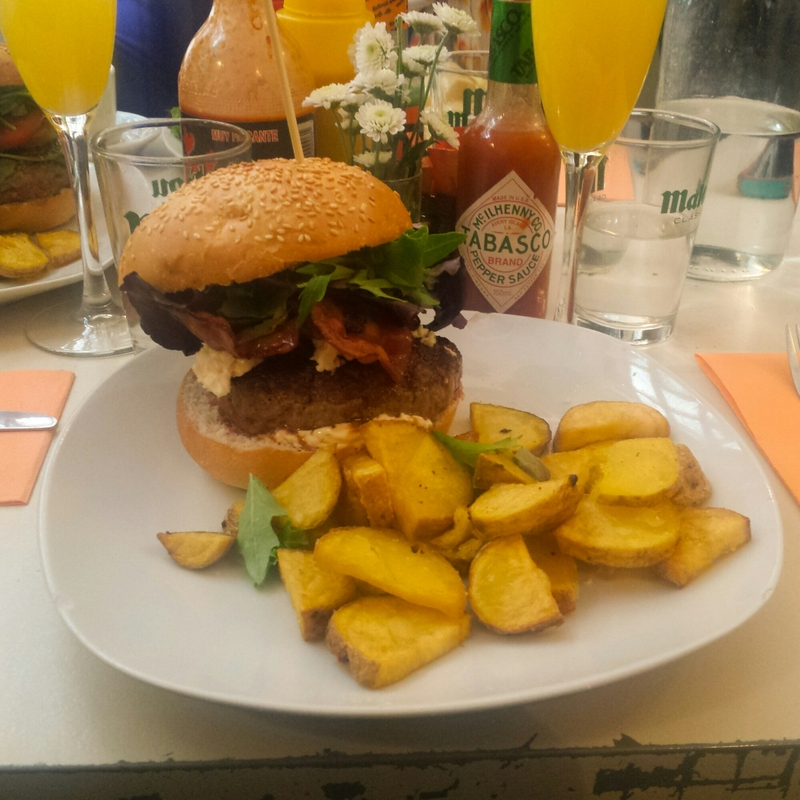 You will spend around €12 depending on what you order and how many Mimosas you drink. They serve brunch on Fridays, Saturdays and Sundays, so why not give it a try the following weekend? 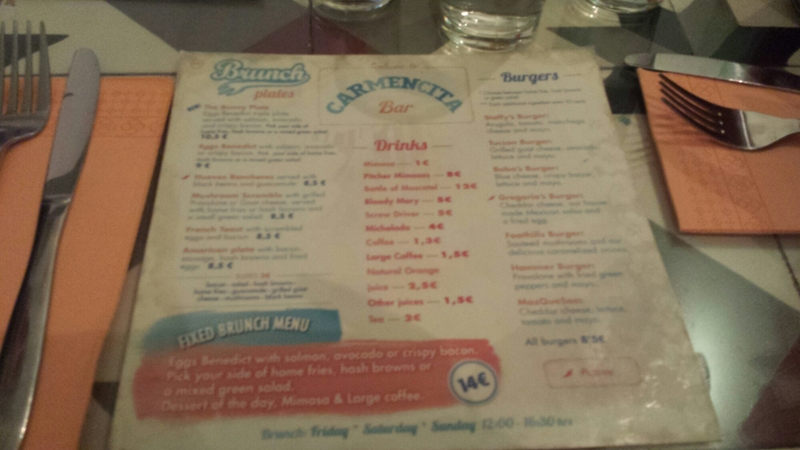 Have you been to carmencita? 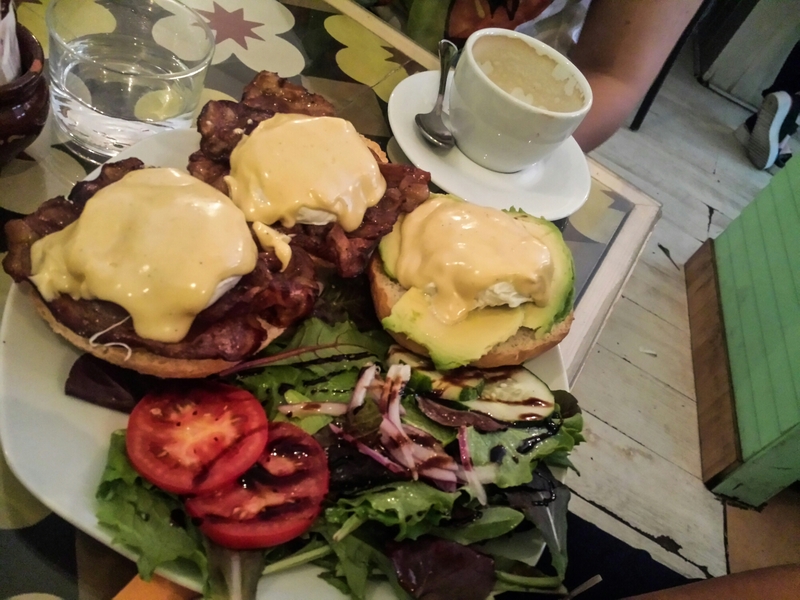 Do you know of any other good brunch spots in Madrid?